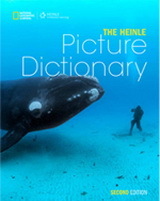 Dictionary teaches more than 1,000 words using 70 topics, grouped into 9 thematic units. Includes the language of home, school, social studies, science, and math. 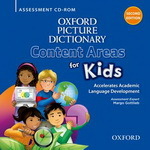 Workbook includes vocabulary and academic language practice for every Dictionary topic. Reproducibles Collection includes pre-reading, reading, post-reading, and writing practice, plus more than 800 word and picture cards.